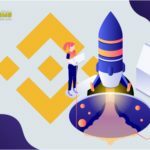 Binance, the largest cryptocurrency exchange, announced the launch of two ambitious projects: the Binance Chain blockchain and the Binance DEX decentralized exchange. CEO of Binance, Changpeng Zhao, told about the decentralized network Binance Chain. According to him, Binance Chain will be a good alternative to the Ethereum cryptocurrency blockchain. It will be possible to issue tokens in the Binance Chain network, so it is suitable for ICO. The creators of the project believe that Binance Chain will attract the attention of blockchain startups due to its high performance and ease of use. 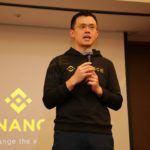 Developer Michael del Castillo announced that Binance Chain will launch within the next two months. Immediately after its launching, cryptocurrency companies will be able to create their tokens based on Binance Chain. Conduct a vote for the addition of new trading pairs. 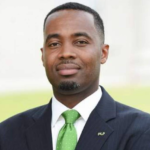 Creation of orders for the purchase and sale of digital assets. Users will keep their cryptocurrencies in Trust Wallet therefore clients of DEX will control completely the financial assets and personal keys of their wallets. Binance DEX is planned to launch at the beginning of 2019. Changpeng Zhao recently published a video on which he demonstrated a demo version of the Binance trading platform and blockchain. © 2018 bit.news | queries 215, for 0.523 sec.